What just happened? A company that claims it's in the business of making devices that ensure privacy, has had the press renders for its latest smartphone model leaked. This is the midrange Blackberry Key2 LE. TCL, the manufacturer behind the Blackberry devices, sent out media invites just a couple of days ago with a Save the Date for August 30 at IFA Berlin, the annual consumer electronics show. As Blackberry has already outed its Key2 flagship phone (pictured above), analysts and media alike hinted at this being the preamble to a launch event for the mid-range Blackberry Key2 LE, Blackberry's long-rumored and unreleased smartphone. 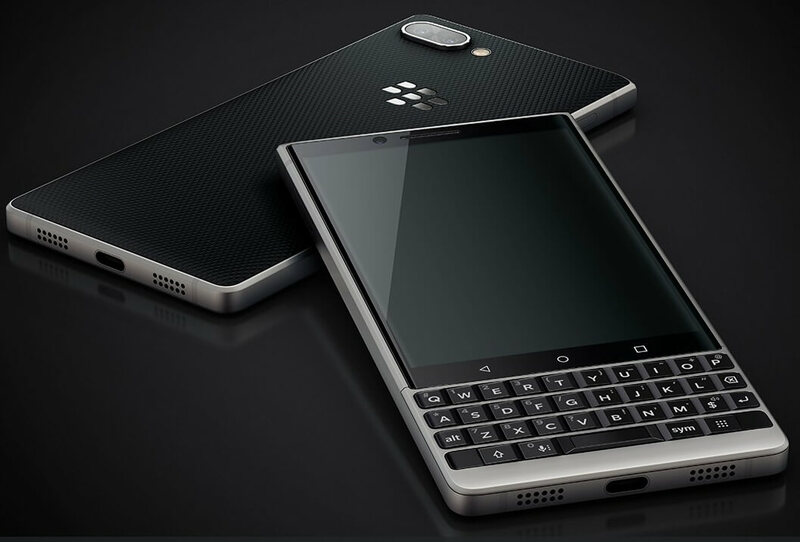 The Blackberry Key2 LE is expected to be powered by the Snapdragon 636 SoC and sport 4GB of RAM, paired with either 32GB or 64GB of storage. Like its big brother, the IPS screen is a 'shortened' 4.5-inch Full HD panel, with a 1620x1080 resolution and Blackberry's signature physical keyboard underneath. The optics and flash are said to be lower-spec when compared to the Key2, with a 13MP+5MP setup instead of the 13MP+13MP. However, most attention has gone towards the materials used in the phone. Pundits suggest the polycarbonate shell of the Key2 has been replaced with a cheaper plastic version, as has the physical keyboard, allowing the manufacturer to offer different color tones and provide customization options. With two weeks to go, Dutch site nieuwemobiel.nl got its hands on some candid photos of the Key2 LE. Here is a compilation of the top-, side-, bottom-, front- and back views. Blackberry is a pale shadow of its former self, in particular since it fell out of favor in the US. However, every device launch still manages to stir up the analysts. Its previous Android-based devices failed to impress, but the Key2 still managed to cause an impression. Known for its 'secure' phones, the Canadian company signed away the manufacturing rights of their phones to TCL Communication Technologies Ltd., a company specializing in mid-to-low range devices. TCL is the Chinese consortium currently behind the Alcatel and Palm phones. IFA Berlin takes place from the August 31 until September 5 and has become one of two main stages in Europe for mobile announcements (the other being the Mobile World Congress in Barcelona) and it's just around the corner.